The 2 hour southern Utah jeep tours include a trip to either Smith Mesa, Gooseberry Mesa, or Warner Valley. 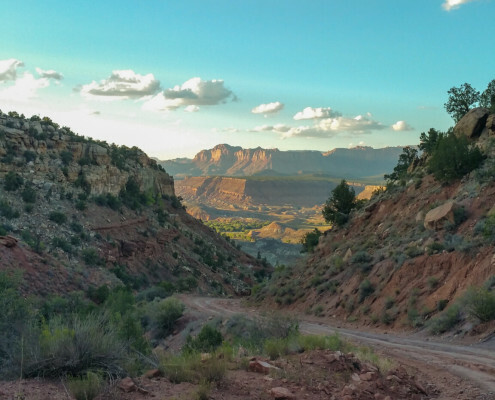 Smith Mesa is packed full of views and even includes a section of Zion National Park. Make sure to bring a camera for the views. Gooseberry Mesa is also a tour that includes amazing views and are similar view points to Smith Mesa. That is where the similarities end. 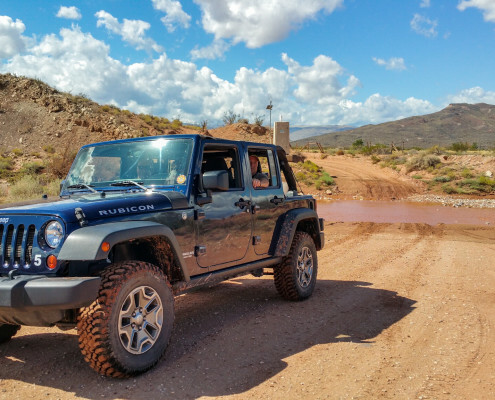 Gooseberry is more of a 4×4 challenge than Smith Mesa and includes a historical stop at the Ghost town of Grafton. Warner Valley on the other hand gives you a chance to see real dinosaur tracks and a historical site known as Fort Pearce where the Mormon pioneers defended the waterways and settlers used as a route from Arizona to Saint George. Warner Valley, like Gooseberry and Smith Mesa, offers views that are sure to be awe inspiring. Due to weather some areas may not be available at all times but not to worry, we also have an alternative route that is equal in beauty and views. Where you go on the day of your tour is up to you and your guide, so if you have a preference be sure to speak your mind. 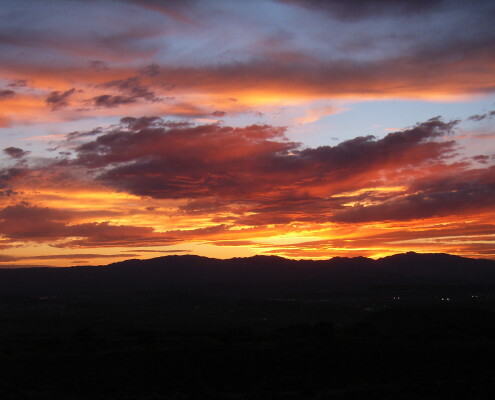 Our Sunset tour is our most popular Jeep tour. We depart right from our location one hour before sunset. The sunset makes the already incredible view stunning. You can see the stunning cliffs of Zion Canyon as the shadows of the mountains cover the canyons for the night. The tour typically take 2.5 hour to complete and is a great way to see the true beauty of Southern Utah.